We first discovered Bob Peters on Instagram and quickly became intrigued by his stunning cocktail creations and reached out to learn more. A true Southern boy, Peters is a native of North Carolina and is currently Head Mixologist for the Punch Room at The Ritz-Carlton in Charlotte. In 2015, he won Global Bartender of the Year for The Ritz-Carlton Corporation. Not impressed yet? Check out his Instagram @bob_peters. (Yup, thought so). Although it is his impressive artistry and vision with craft cocktails that caught our attention, his sincere friendly Southern Charm is what had made us fans. 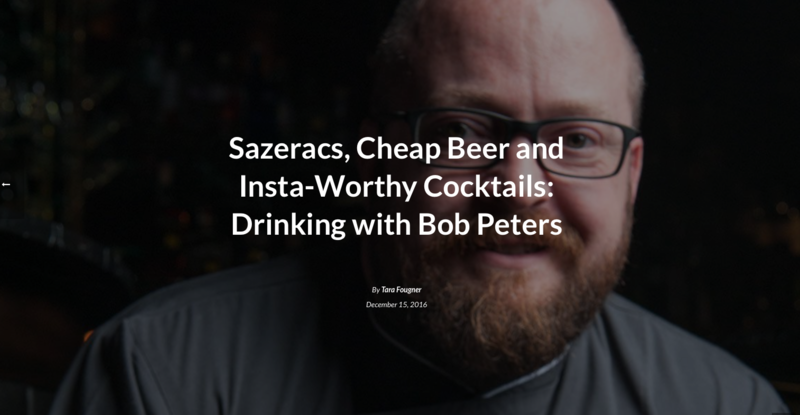 Without further ado, let’s go drinking with Bob Peters. This entry was posted in Press and tagged article, bartender, best, Best cocktail bar, Best mixologist, Bob Peters, bob the bartender, bobthebartender, Charlotte, cocktail, Cocktails, james beard, mixologist, mixology, outstanding bar program, punch room, punch room ritz, Tara Fougner, the ritz, the ritz charlotte, The Ritz-Carlton, Thirsty Magazine.